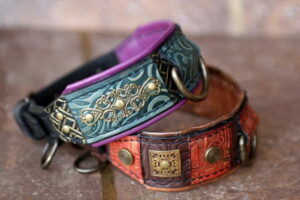 Workshop Sauri design is unique firstly because our dog collars are mainly hand stitched (collars for medium sized to large dog breeds) or machine stitched (personalized collars for small dogs). 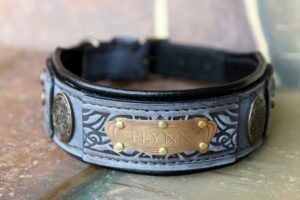 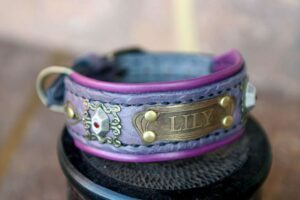 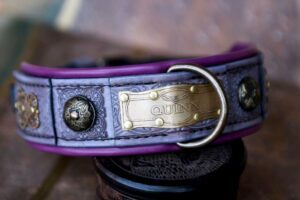 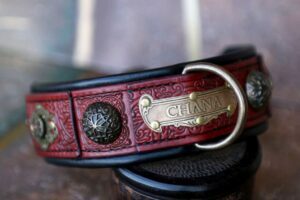 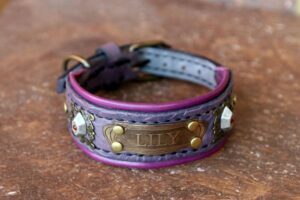 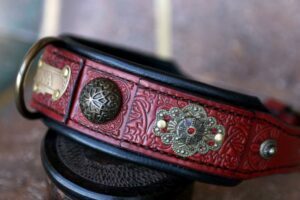 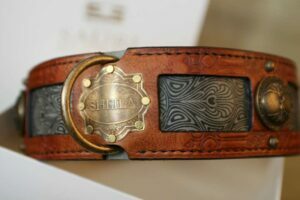 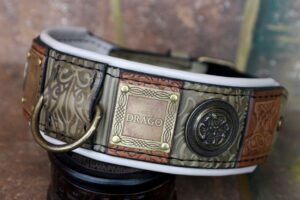 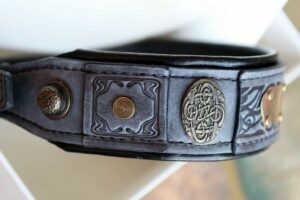 This means that we use two, three or four leather layers and bring them together by hand (or machine) stitching instead of riveting that is most commonly used in the mass production of dog collars and with most handmade dog collars as well. 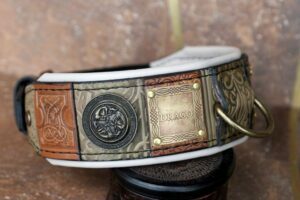 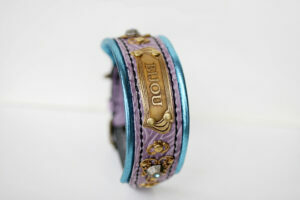 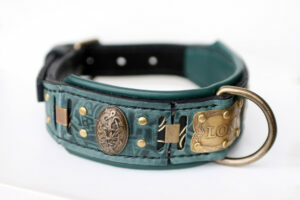 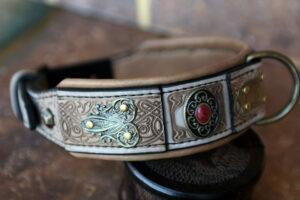 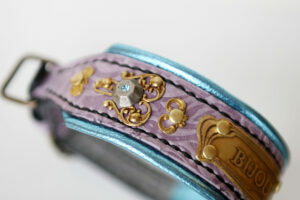 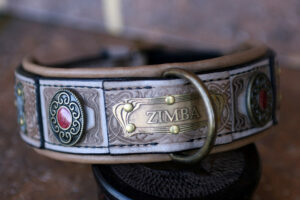 We have noticed that the dog collars riveted on the inner side may cause irritation to the dog’s neck and coat. 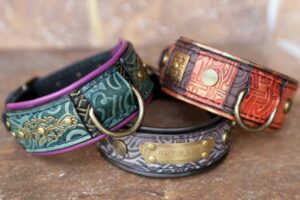 The dog collars, leashes and dog harnesses made by Workshop Sauri are inimitable because they represent a unique combination of three design elements: embossing, hand printing and ornaments. 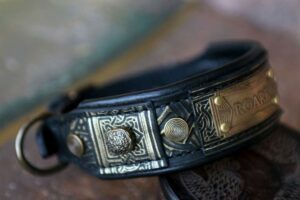 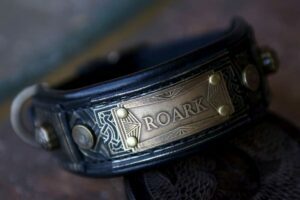 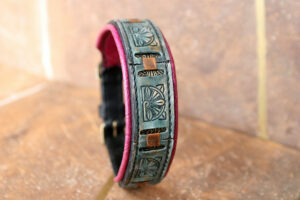 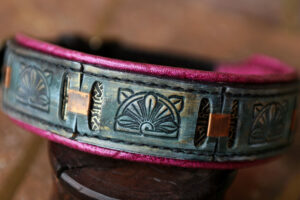 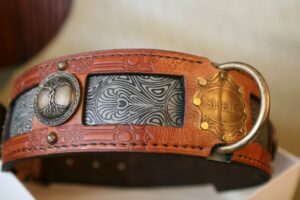 Every single dog collar made in Workshop Sauri is unique and will never be quite the same as another. 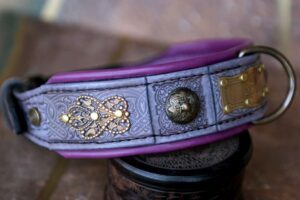 The unique combination of those three design elements is what makes Sauri’s leather dog collars so special and recognizable. 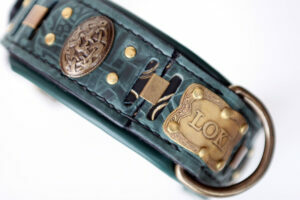 Our inclination has always been creating dog products superior in both practical and visual sense.